After a couple of teasingly warm days, we are back to the chilly embrace of winter. It was nice shedding a few layers and not feeling like the Michelin Man every time I stepped outside! A couple months ago I shared the best coats for a stylish winter. 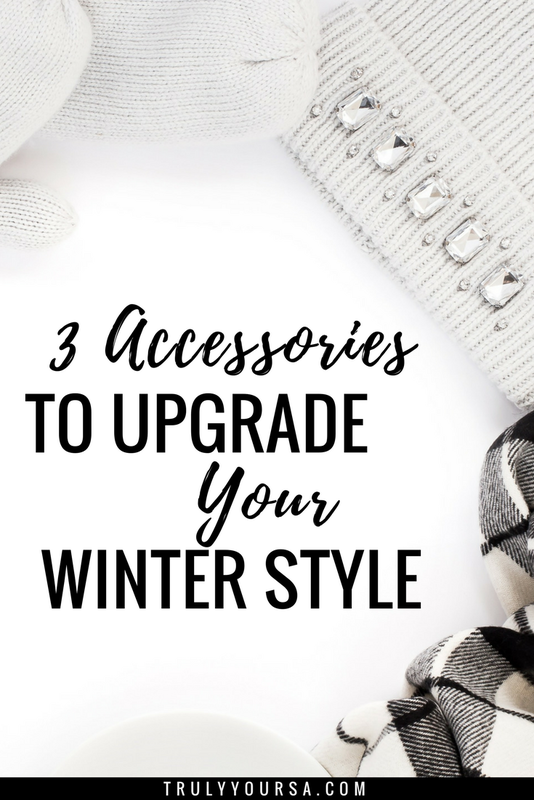 Now that you've found the perfect coat, it's time to upgrade those boring hats, scarves, and gloves that are more functional than stylish. One of my favorite ways to brighten up these oh-so-dreary winter days is to add a bit of fun to any outfit with more fashion-forward accessories. Winter accessories in unexpected pops of color or a bit of faux fur can be just the right amount of sartorial flair to help you get through another polar vortex. Here are a few of my favorite cold weather accessories to brighten up any dull winter. I love fur pom beanies; they're so fun! They come in tons of color combinations so there's always one to match any coat color. Faux fur is big this season and a faux fur scarf is a fashionable addition to your cold weather wardrobe. You can also throw it on over a tee, dress, or sweater to dress up any look! 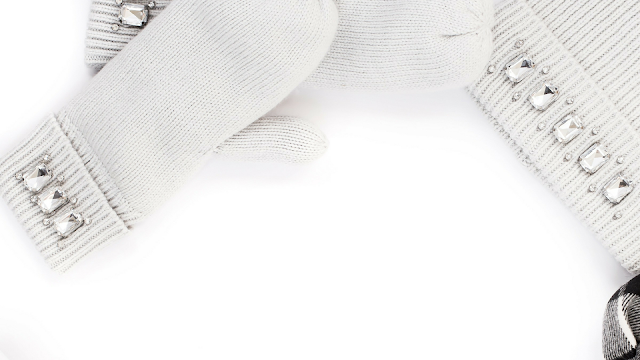 Gloves with embellishments such as fur, pearls, and studs are a great way to add a little edge to any winter ensemble. What are your favorite ways to stay stylish during the winter? Let me know in the comments below! Couldn't agree more with your 3 picks!! I wear those all on the daily! You are having a very stylish winter! Thanks for commenting, Mary! I love all these but especially the embellished gloves!! SO cute. They're functional and stylish! You can't go wrong with that combo! The fur pom beanies are my favorite and I totally agree! Omg I'm slacking so hard because I have none of these currently. I gotta up my game, that's for sure! Ah yes loving all of your picks. I have SO been feeling the faux fur pom beanies. I have so many now and can't wait to get out into the cold everyday to show them off. LOVE. I love all your picks! I am really into the faux fur scarf right now! Fur pom beanies are the best. I’m obsessed with them lately!!! Love these picks! I need some embellished gloves now! I just bought my daughter a Pom beanie too! Ohhhh I need to get myself a cute beanie for winter this year but alas - we're in the middle of steaming summer over here in Aus and boy is it hot!! It's crazy!! I am loving the fur pom beanies! They are so cute, and I need a pair of embellished gloves! FUR POM BEANIES ARE EVERYTHING! I tried wearing a normal beanie and it just wasnt cutting it! haha! Ashamed to say that I dont have a good pair of gloves though....I need to get on that! I love pom beanies. However, I haven't tried your other two suggestions yet, but POM beanies are everything! Beanies are seriously the best this time of year!